This is a difficult shot to make because of the timing involved. 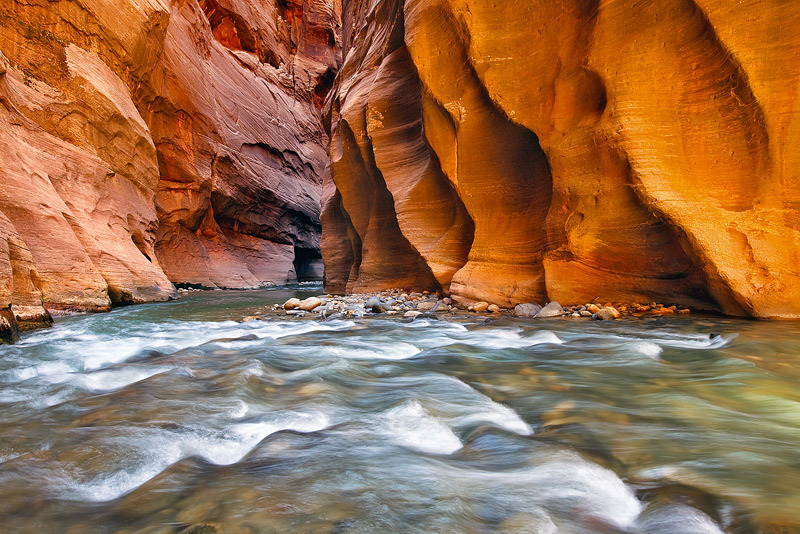 This is a very deep section of the slot canyon where light is at a premium. Here I captured the scene right at peak conditions resulting in a magnificent ambient glow on the sandstone. I used a relatively short shutter speed to present the rapids in their most aesthetic state. Photo © copyright by Michael Greene.